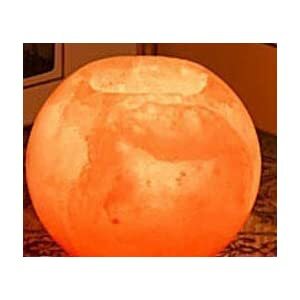 Salt Crystal Lamp glowing in your consulting or treating room assists the healing process and adds to a calming environment. 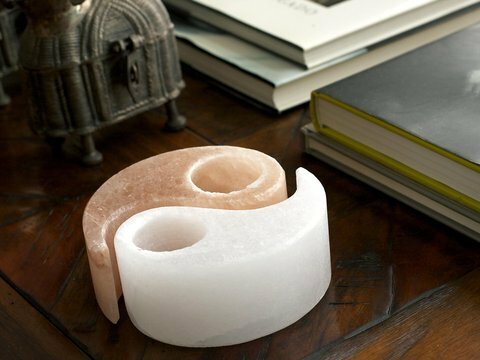 Two Part YING YANG NATURAL PINK HIMALAYAN CRYSTAL ROCK SALT CANDLE HOLDER. 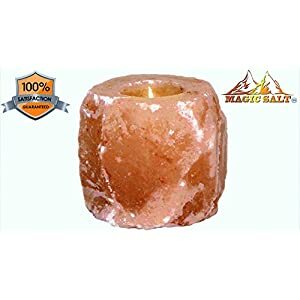 100 % PREMIUM AND FINE QUALITY Magic Salt TO ENSURE THE BEST QUALITY ALWAYS BUY FROM THE Magic Salt (Brand with Quality that you Know and Trust) – UNIQUE SALT candle holder is made from Natural Himalayan salt crystals hand mined from the Himalayan Mountains. OUR NATURAL CANDLE is rough finished, just like how it came out of the ground in the foothills of the Himalayan mountains. Our candle holders come in a variety of colours and sizes. 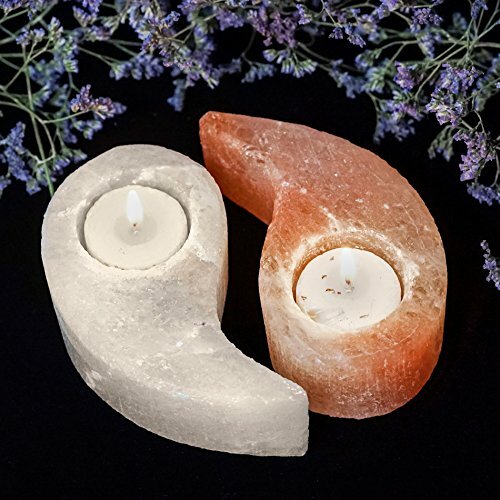 Package includes: FOUR TOP GRADE PREMIUM GRADE NATURAL Hand Carved Salt Tea Light Holder THE COLOURS range from a beautiful pink, all the way to orange and even deep red. 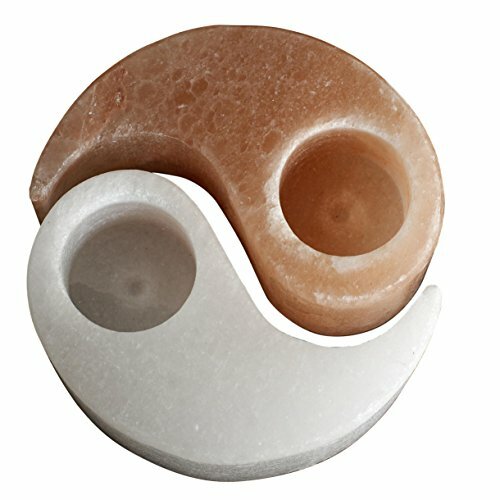 Every Natural Himalayan salt candle holder is unique. 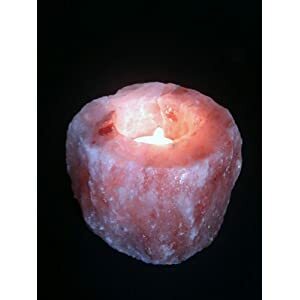 Heating the salt releases negative ions into the air, creating an effect similar to an ioniser, purifying the surrounding air. USEFUL FOR HEALTHY LIVING AND WELLBEING The Average weight of each candle holder is 900 grammes. 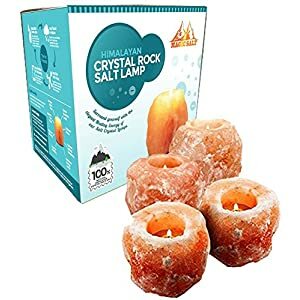 Package Contains: Four of these spectacular natural hand carved candle holders which are similar to those shown in our images. 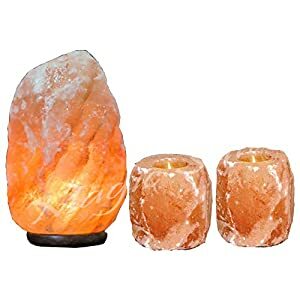 Magic Salt Himalayan natural salt products are carefully selected and hand carved by the premium craftsmen of Pakistan. Hence that is the reason every piece is special and unique, and no two are exactly alike. 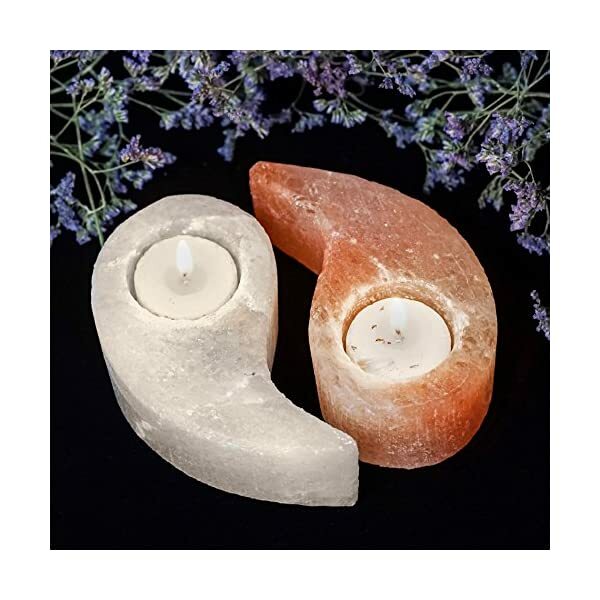 These beautiful candle holders are beautiful light pink to orange hue, and once lit up it originates a warm and serene amber orange coloured glow and immediately begins to filter the air naturally with negative ions flowing from the extra pure salt and binding to positively charged dust particles bringing them to the ground and leaving the fresh air. 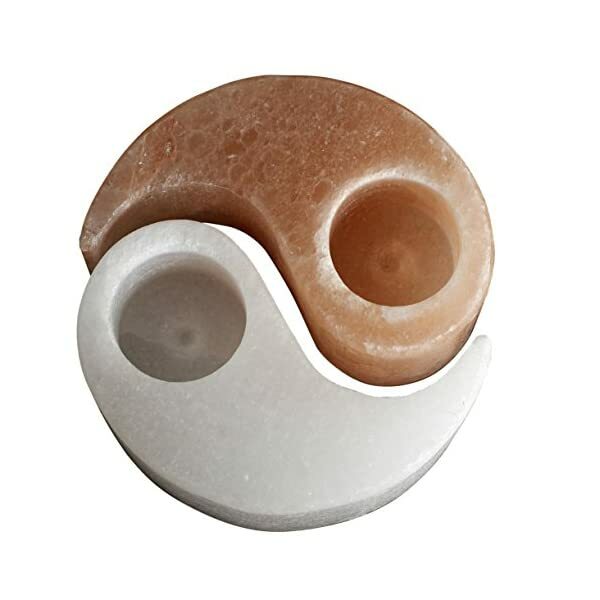 Patients with asthma often find that just a few of these candle holders in a room help to reduce or alleviate their issues. 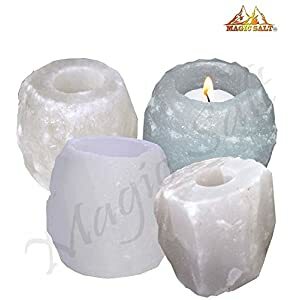 Candles can easily be replaced and keep them lit to maintain the purifying effect. help your wellness and keep the air around you clean, ionized naturally and beautifully. create a cozy, relaxing, wellness environment anywhere you want to enjoy the beauty of nature.